Open Top Tours started rolling early in 2013 offering visitors a different way to explore Nova Scotia by means of 4 X 4 Jeeps. Owner Karl Dias started the company to offer visitors (and locals) an unique and intimate way to see the beauty of Nova Scotia. 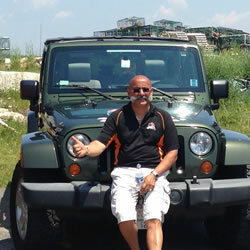 There are various ways to explore Nova Scotia but nothing like the experience of traveling in an Open Top 4×4 Jeep !!! Our first tour(s) involved two couples in taking separate Jeeps to Peggy’s Cove. 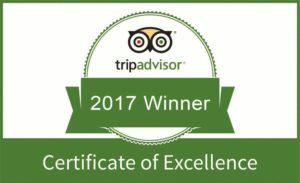 Both loved the tours, yet their experiences were different and that’s one of the great things about Open Top Tours … all of our tours are customizable based on what you want to see and do ! We would love to take you on a day tour/excursion to visit local fishing Villages, taste our amazing wines or simply relax on our spectacular beaches. Our multilingual guides are well versed and will share stories along the way. We are proud to offer you several packages to suit your pleasure in all seasons. Check us out on our Facebook page and follow us on Twitter! 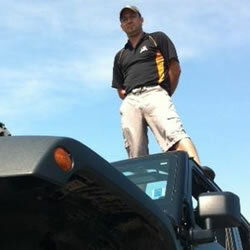 Our ‘Adventure Guides” are all experienced drivers with approved classed licensing for the tour business. 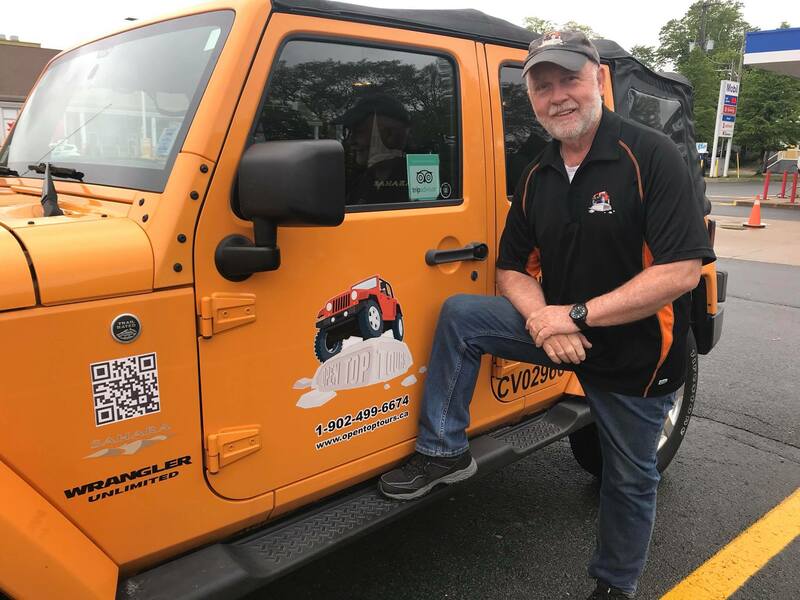 Our vehicles (4X4 Jeeps Wranglers, Luxury SUV) are fully licensed for the touring industry with certified regular inspections along with the required daily checks by the tour drivers. Each vehicle carries all the items/supplies as per licensing requirements. For the added comfort of our guests we have bottled water at no charge and not to mention the use of sunscreen … some of bald guys need it !! !